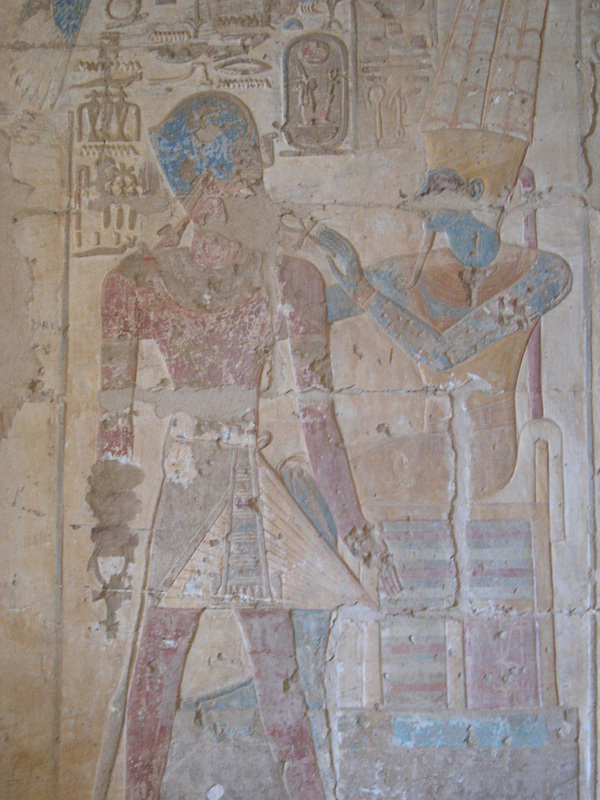 Two sovereigns are represented here: Amenhotep III and his father Tuthmosis IV. 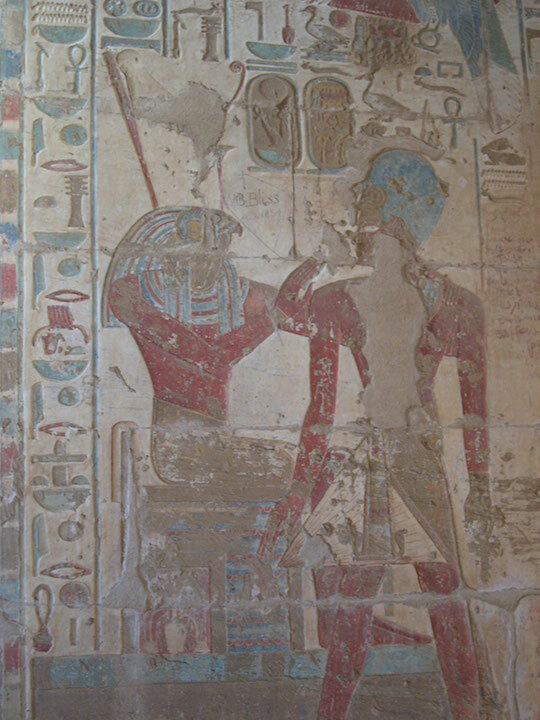 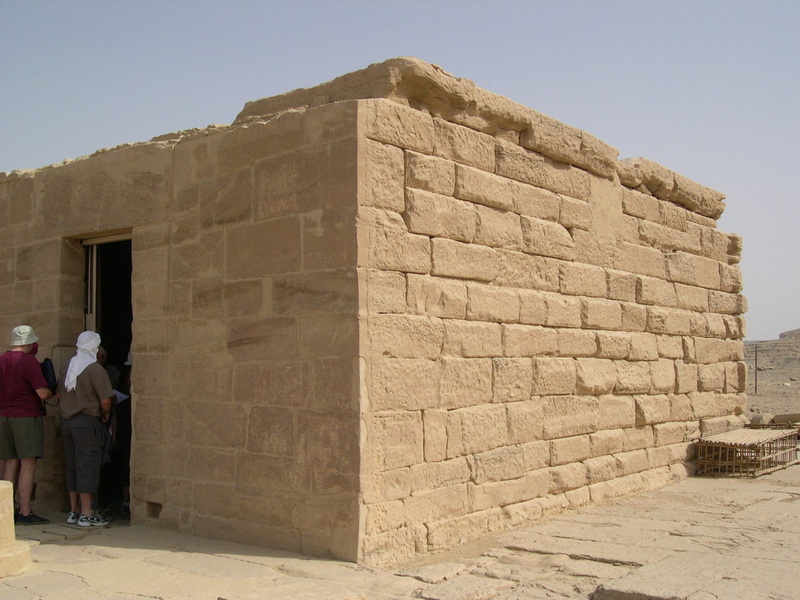 This temple had been built either by Amenhotep III at the beginning of his reign, or started by Tuthmosis IV and finished by his son. 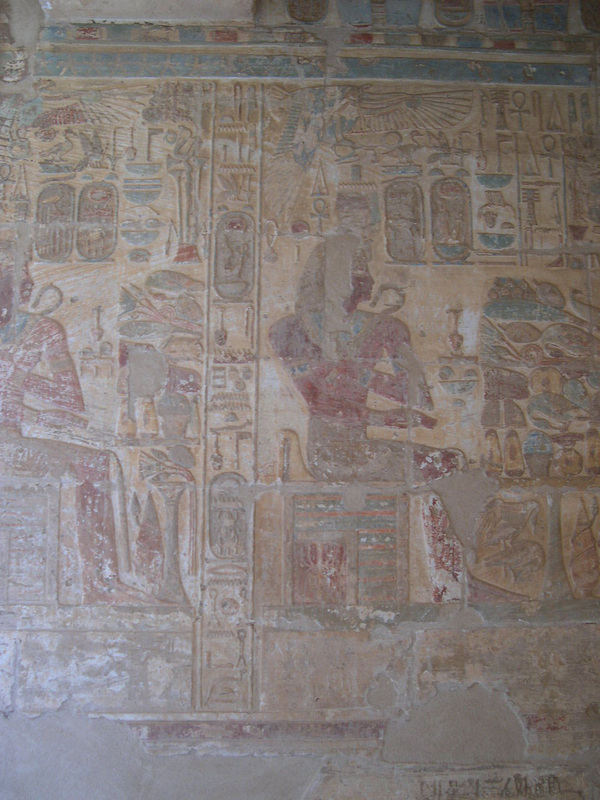 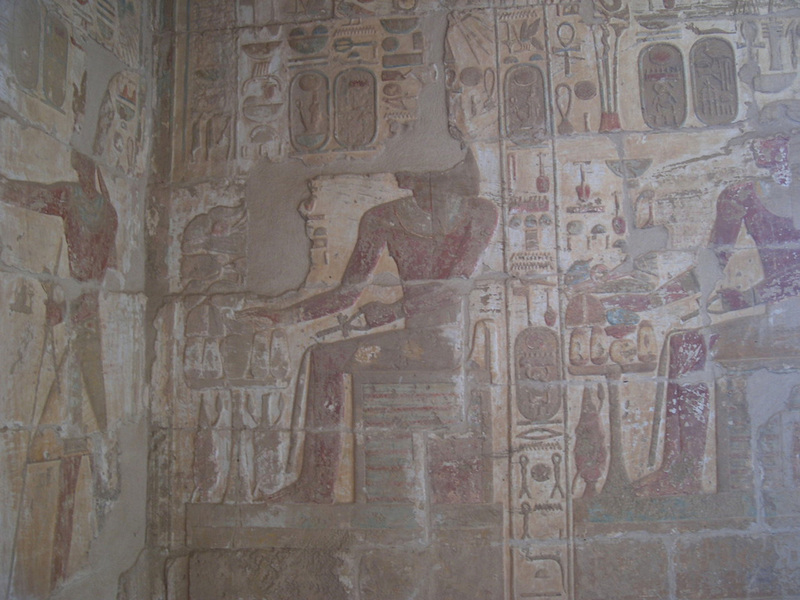 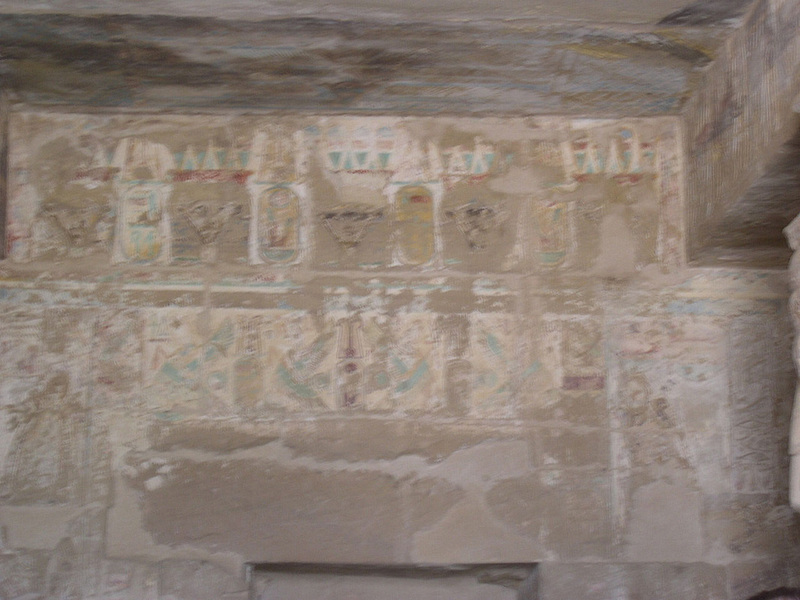 It has raised reliefs decorated with paintings, which has been quite preserved. 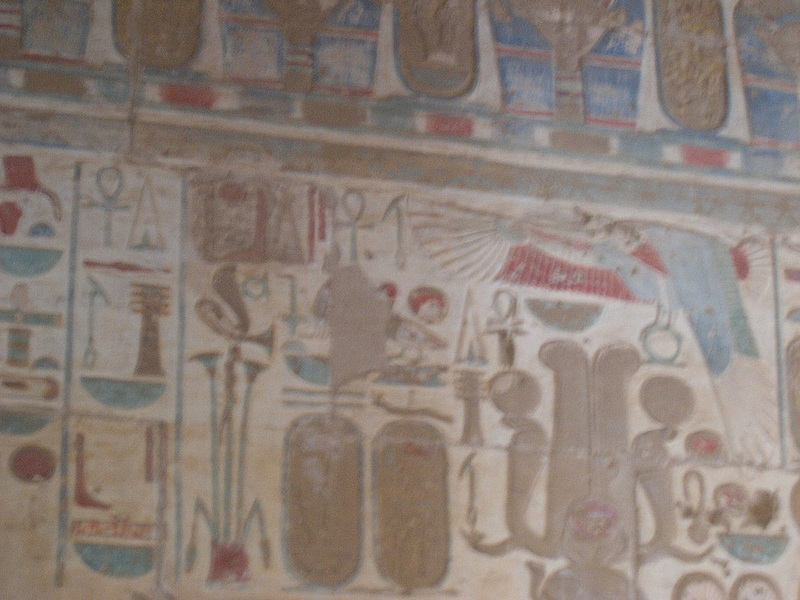 The building was restored in late antiquity and brightly painted scenes of rituals as well as the vulture goddess can still be seen. 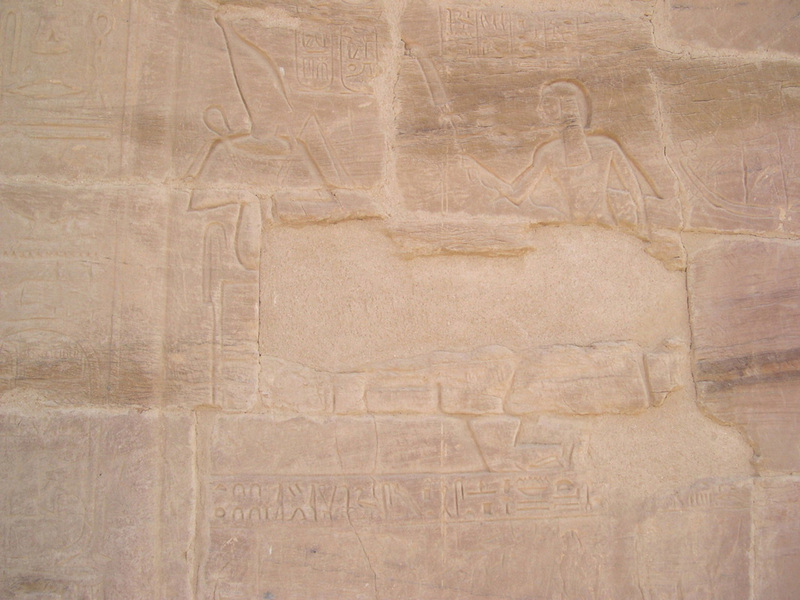 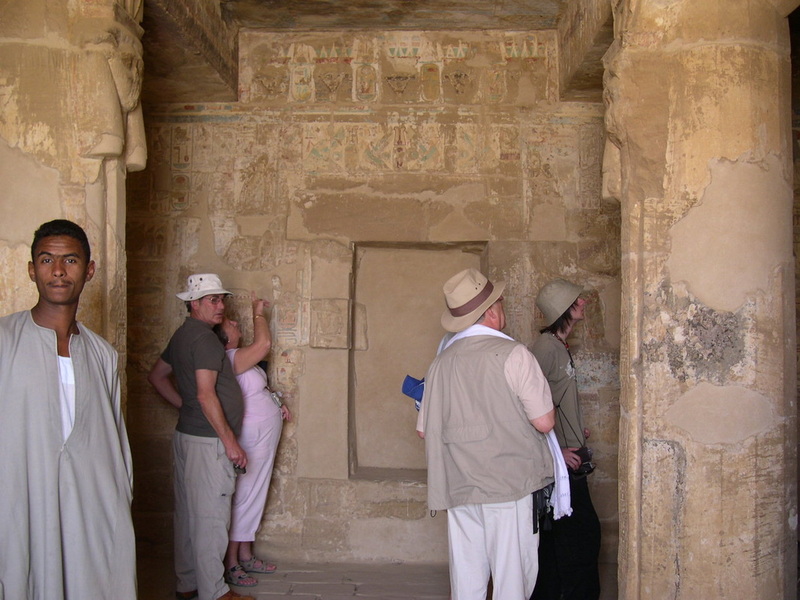 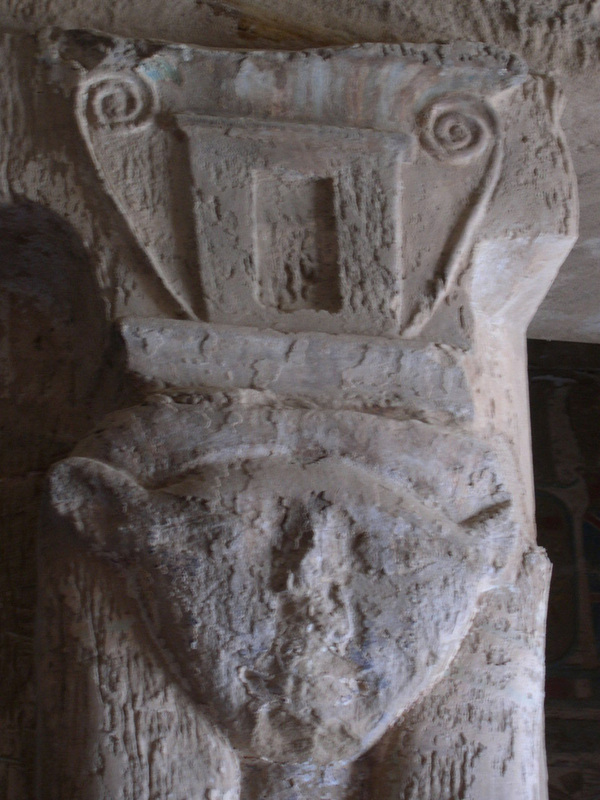 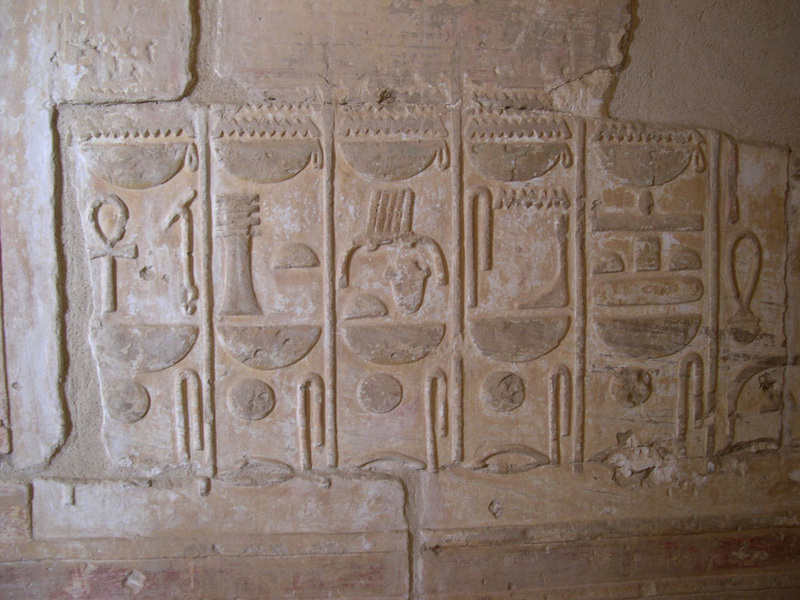 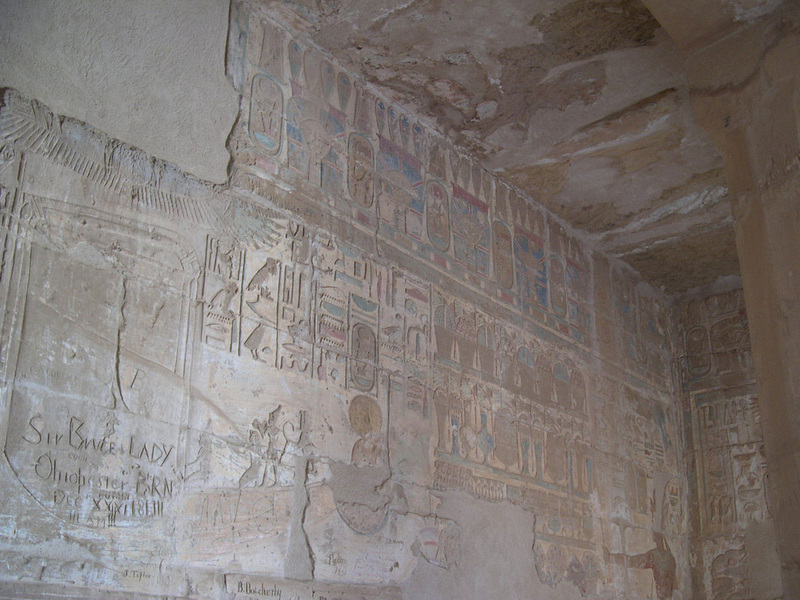 On the chapel facade is a text by Prince Khaemwaset, the son of Ramses II, announcing his father’s jubilee in year 42, as well as graffiti by other passing travelers. 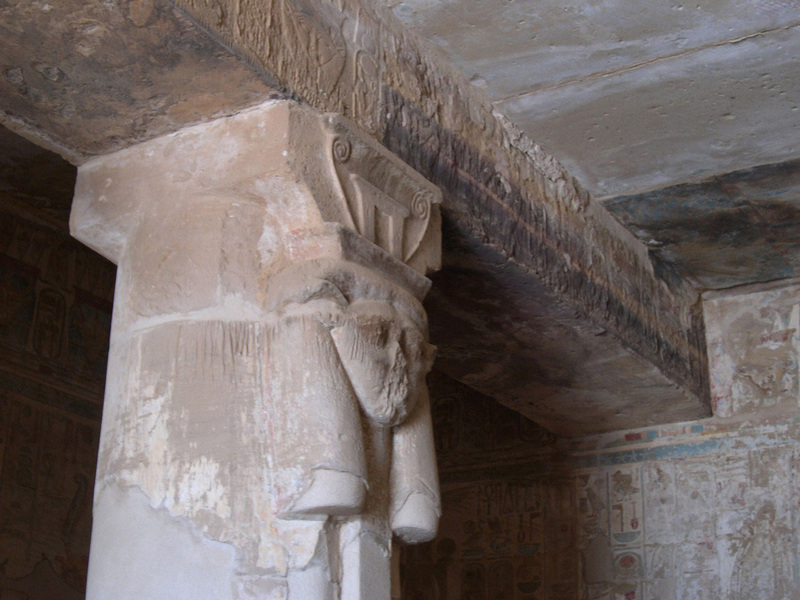 The roof is supported by four columns with Hathoric capitols. 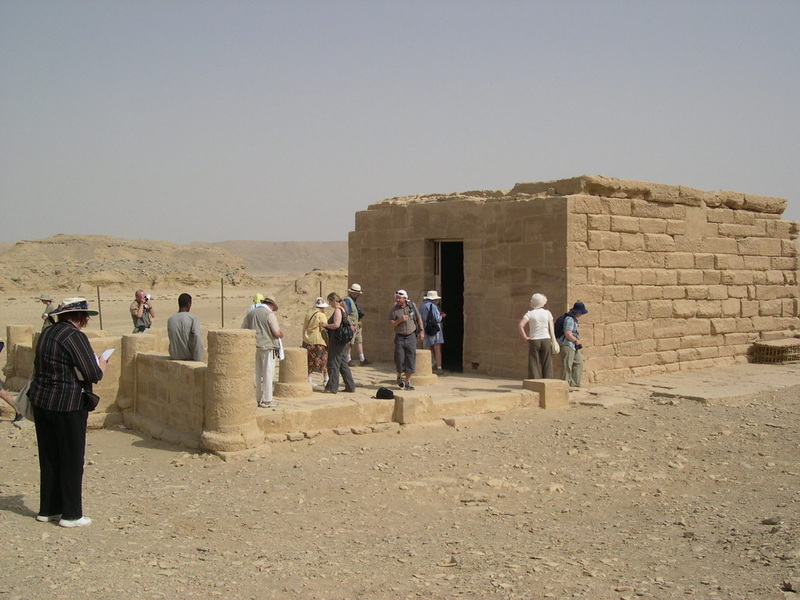 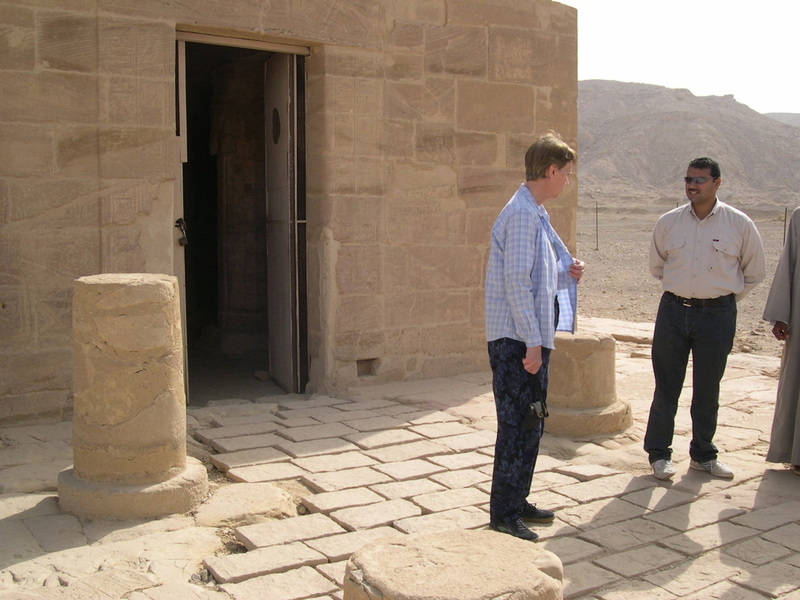 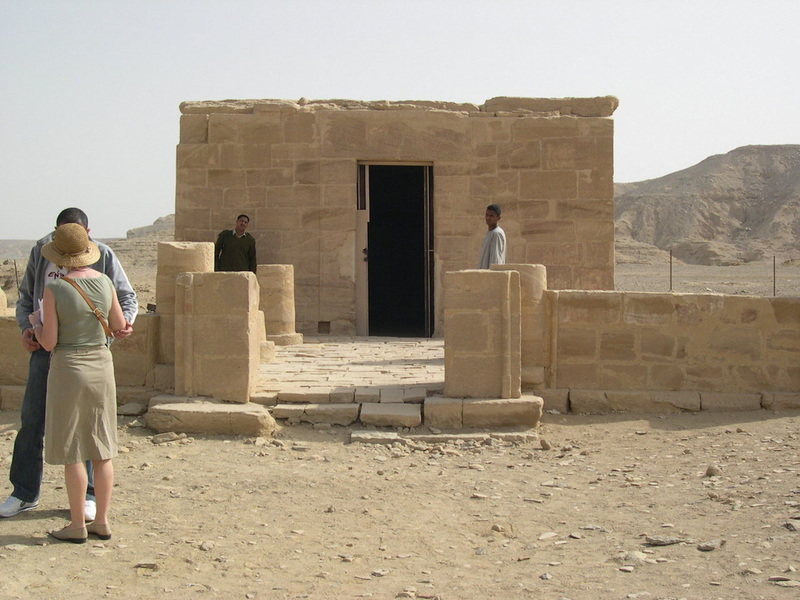 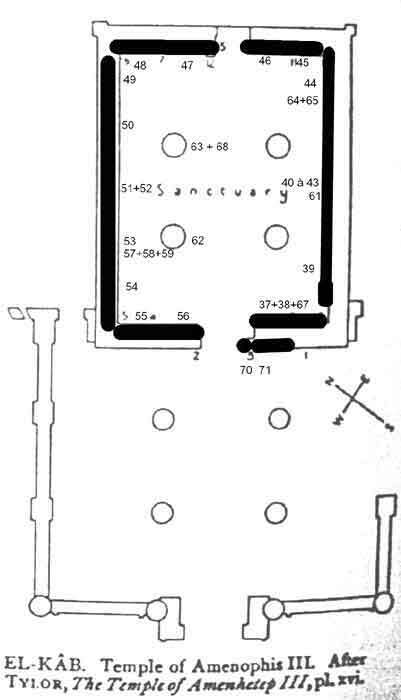 In front of the entry to the temple existed a small hypostyle room with four columns. 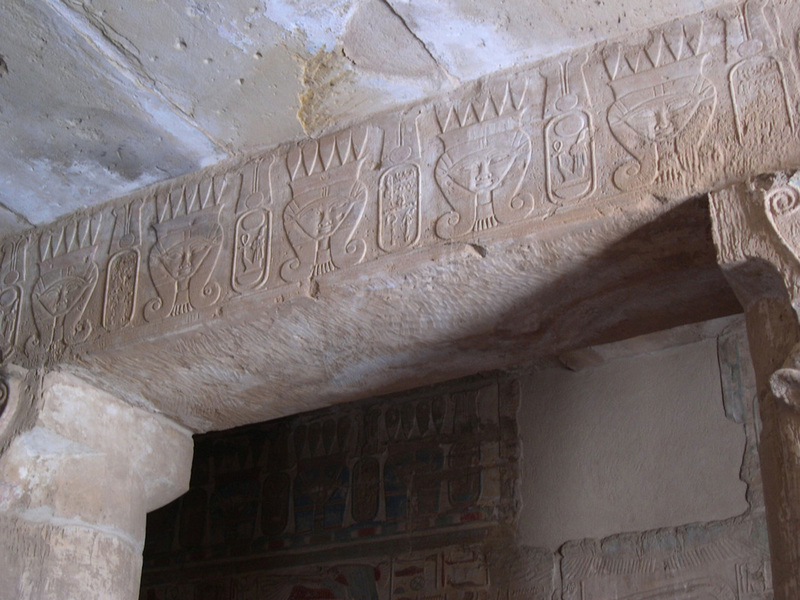 It represents in fact, a repository chapel for the barque, which served at the time of the processions of the goddess Nekhbet. 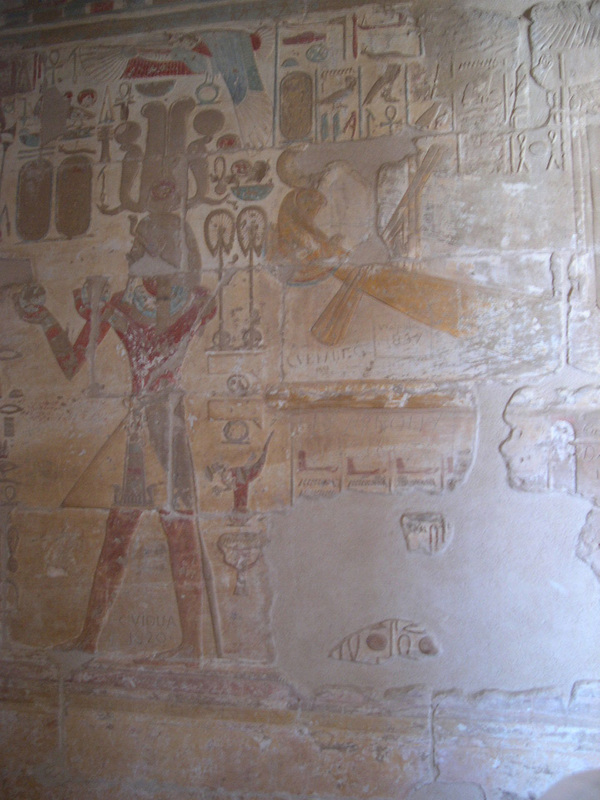 It was co dedicated to Nekhbet and Hathor.